We don’t expect to feel good, happy, ecstatic all of the time. 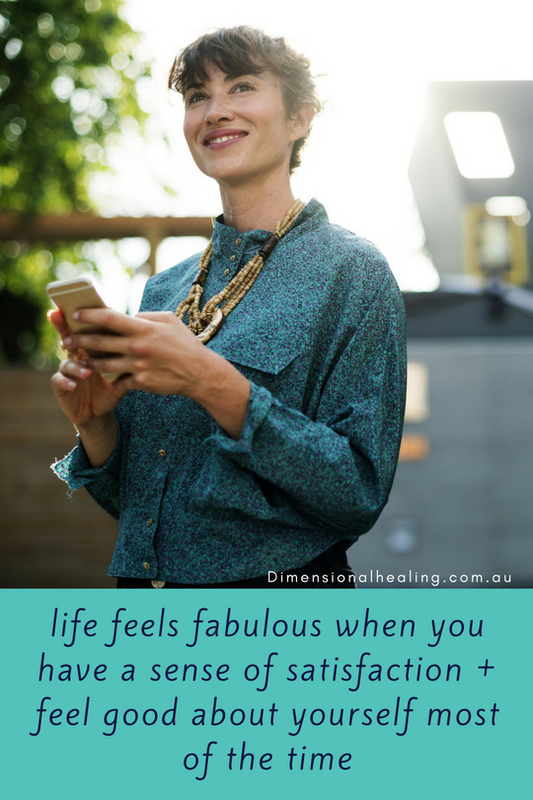 But if you can have a sense of satisfaction and feel good about yourself most of the time then life feels fabulous. So how do you get there? Honour your emotions. Whether you’re feeling happy, sad, excited, angry, disappointed or fearful acknowledge your emotions and what led you there. Whilst growing up, we are often told not to be upset, it doesn’t matter, you’ll feel better tomorrow, just forget about it. This leads us to bottling our emotions and feelings that we don’t matter. So recognise when you feel sad or upset. Speak up gently but firmly when you don’t agree. Be respectful of others but also expect others to respect you. Focus on how you can turn those emotions around. What could you have done differently in the situation. What response were you expecting and why do you feel it didn’t happen. Once you have assessed what has caused you to feel upset you are more easily able to let it go. When you deal with things you feel good about the situation. Don’t get stuck in your own mind. You can get buried with what if this….. or I should have done that….. or I’m worried about….. When you have positive supportive people around you ask them for feedback about what is bothering you. Get another perspective. This helps you see what is happening from outside of yourself. You can be more objective, you can let go of worry and feel better about your decisions. And when you need extra help consider an energy healing session with me!